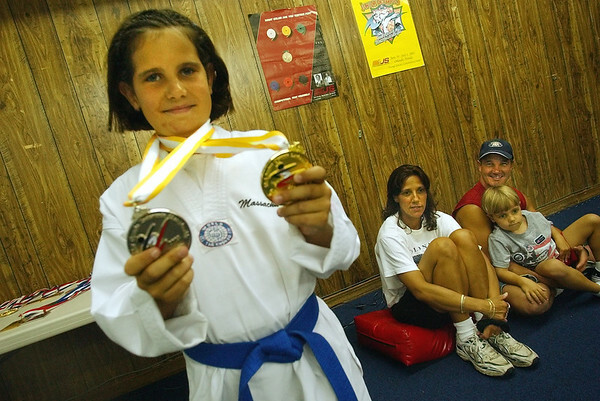 Gloucester: Andie-Jane Phinney shows her gold and silver medal from the taekwondo olympics ((((((check this with Dom))). At right is her...... (Photo by Mike Dean/Gloucester Daily Times). Friday, July 11, 2003 (NOTE: THIS IS A DIGITAL CAMERA IMAGE).